A call has been issued for the Government to help landlords in the private rented sector to support older renters looking for greater security when renting a home. 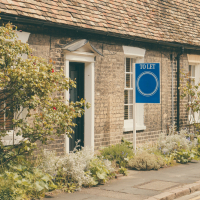 The call from the Residential Landlords Association (RA) comes in the aftermath of a report from the Department for Work and Pensions which shows that the proportion of older people renting a home has almost doubled in the last decade. More than a quarter of those in their late thirties and early forties are now renting while the number in the same age group with a mortgage fell from 60% to less than 50% between 2007 and 2017, according to the Family Resources Survey from the DWP. The research also shows that tenants are now more likely to be from a private landlord than from a council or housing association. According to RLA policy director David Smith, with rents increasing by less than inflation and average rents lower than mortgage payments, it is not surprising that more older people who are finding it difficult to afford to buy a property are now renting. ‘We recognise that older tenants, especially those with children, want security in rented housing. Although official statistics show that tenants have, on average, lived in their existing rented homes for almost four years, we have called on the Government to do more to support the provision of longer tenancies,’ said Smith. He explained that this includes addressing the problem that mortgage lenders often prevent landlords offering longer tenancies with an RLA survey showing that 44% of landlords have mortgage conditions that limit the maximum length of tenancy that can be offered. ‘The growth in the number of older tenants is one factor behind an increase in demand for rented housing at a time when an increasing number of landlords are not investing in more properties or are selling off homes because of Government tax rises on the sector,’ Smith pointed out. ‘This is making it more difficult in areas of high demand for tenants to find decent accommodation,’ he added.